Author: Schooler, Lynn Set In . 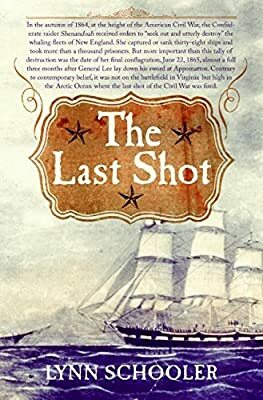 . .
Blending high-seas adventure and first-rate research, The Last Shot is naval history of the very first order, offering a riveting account of the last Southern military force to lay down its arms in June 1865. Following orders received the previous autumn, the Confederate raider Shenandoah fell upon a fleet of whalers out of New England working the waters near Alaska's Little Diomede Island. More than two dozen ships went down in a frenzy of destruction that occurred three months after the South's official surrender. In breathtaking detail, author Lynn Schooler re-creates one of the most astonishing events in American military history—a final act of war that brought about the near-demise of the New England whaling industry and effectively ended America's growing hegemony over worldwide shipping for the next eighty years.